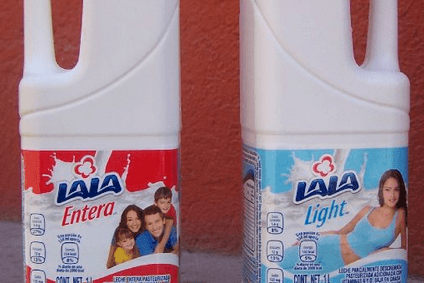 Grupo Lala, the Mexican dairy firm, said new products, a higher proportion of value-added sales and pricing helped lift both sales and earnings in 2014. The company said that sales increased 4.3% to MXN44.99bn (US$3bn). “The increase in sales was primarily due to pricing strategy exercised during the year, to non-organic growth as a result of new products and brands in the portfolio, as well as the mix of products with higher added value.” Lala said gains were “partially offset” by lower volumes. EBITDA for the full year increased by 3.6% to MXN5.47bn, compared with MXN5.28bn in 2013. The company said higher gross margin – the result of its sales initiatives – was offset by increased expenses as a percentage of sales. Operating margin therefore remained steady at 12.2%. Net income grew 10.4% to MXN3.12bn as higher taxes were more than offset by increased income from associated companies and higher financial income.